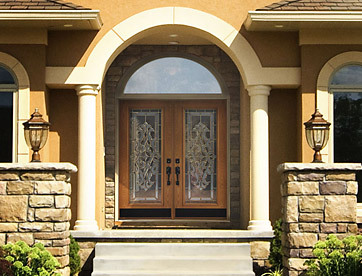 Greet your guests with the finest, professionally crafted entry doors available. All VARCO entry doors are customized to your needs and style. Why choose ready-made when you can choose well made? Classic designs without the deterioration. Our fiberglass doors are available in two rich oak and hemlock grain patterns featuring the timeless look of real wood without aging and rotting. VARCO steel doors are strong and durable without sacrificing beauty. Enhance the look of your entryway and protect your home with our steel doors. With both elegance and durability, our hardware makes the right first impression. Choose from our wide selection of solid hardware to customize your entry door.